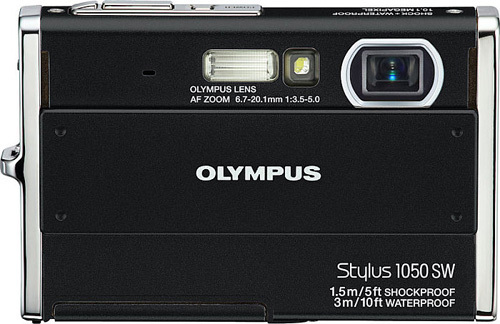 Olympus Stylus 1050 SW Is Waterproof, Shockproof, Freezeproof And Can Be Operated While Wearing Gloves | OhGizmo! As for the camera itself, you’re looking at a 1/2.33 inch 10.1 megapixel CCD with 3X optical zoom, ISO settings from 80 to 1600, a 2.7 inch LCD screen, digital image stabilization, a ‘Perfect Shot Preview’ which allows you to see various photographic effects before you take a shot as well as face & smile detection. The new Stylus 1050 SW should be available in October for $299.99 in your choice of blue, champagne, silver or black colors. Turn flash on and off – The default settings on most digital cameras is automatic flash. This means the camera will flash whenever the camera decides there's not enough light for a good photo without additional light from a flash. This is good in most situations, even in the daylight, if you are taking a photograph in shadows.